النظافة من الايمان والامن والبلدية في سبات? القراءة ، تنس الطاولة ، بلياردو . · Student for DBA in University of Liverpool. · CBA (Certified Business Administrator) from Institute of Business Administration, August 1, 2002, Delaware USA. · M.B.A. from the University of Wales, UK in 1998. · B.Sc. in Mechanical Engineering with Grade very good from Faculty of Engineering Riyadh (king Saud) University, in the year 1977/78. · HSC Graduated from Alfalah High School (Secondary School) in Jeddah 1972. · شهادة الثانوية العامة من مدرسة الفلاح الثانوية في مدينة جدة عام 1972م. · ORACLE: Introduction and application Building to Oracle. · Management of Operation & Maintenance. · C.T.I. Computer Introduction and Operating System. · Solar Thermal Power Plant, graded A. · Securing the future of Saudi Family Enterprises. (Issued as a book in Arabic too). · Jeddah Economic Conference. January 2001. · The 3rd international conference of management and investment in Real Estate, October-November 2001. · Engineering Services Future in view of WTO. February 2001. · 12th exhibition of the education and training of HR, April 2000. · Conference of Medical Insurance in Bahrain, June 1998. · Economic Gulf conference under the current changes WTO. · Participation and lecturing in Strategic management of family enterprises conference in Jeddah 2004 managed by Derasat. · Arabian Society for Human Resource Management. · Job Evaluation Panel from 4/4/1999 to 16/10/2001 as chairman. · Staff Redeployment committee, from 7/2/2000 to 23/5/2001. · Mubader committee starting 30/8/200. As chairman to evaluate staff opinion and new ideas. · Senior Human Resources Committee from 4/3/1997 to 30/6/2001. This committee is responsible for all HR strategic issues. · member of the NCB club from 25/5/1997 up to 25/8/2006. · NCB core value champion. (Empowerment). · Many appreciation letters from NCB's Chairman , GM and other NCB business departments. § Deliver advice and follow to implement some of the projects proposed from the sub-municipality sector and not implemented yet. § Deliver resolutions advice to public car parking project obstacles in down town and follow the implementation. § Deliver resolutions advice for some waste problems at land fill and provide consultancy to its management department in Jeddah Urban Planning Company. § Create a new mechanism to audit restaurants hotel and food providers through teams from the center and branches. § Create a committee specialized to resolve the building permit breaches independently with the contribution and leadership of urban planning department and building permit department. § Create continuous meetings with municipality branches to improve performance and resolve challenges faced. § Create a mechanism to license street walking vendors based on regulations with the concept of identifying working paths rather than locations. § Create RFP to select the qualified companies who are capable to qualify restaurants, hotel and food delivers to improve safety and quality of products. § Prepare the frequent special reports required frequently from higher management and regulators. § Improve performance of permits and commercial auditing department by changing their work mechanisms and processes. § Improve work processes of slaughterhouses, vegetables and fish markets. Enforce project contractors to present periodic reports reflect progress based on contract obligations. § Regular management of the sector. § Improve relations with citizen by direct contact and call center and contribution to the municipality council and their work team committees. § Assigned in addition as project manager starting 20 April 2011 to run two high risk projects ( Alsamer & Um alkhair) due to compressed time project delivery. a) Regarding the strategic office I can summarize the achievement in: -1- the resolving of the projects (contracts that are stalled) and resolve the employees financial rights that are pending too. -2- Attract new Saudi talents. -3- Start new project (contract) for performance measurement. -4- Lead the Mayor's Prize for excellence for sub-municipalities.-5- Apply corporate governance for board by writing regulations, policy and procedures. -6- Schedule performance revisions of the departments by the board to improve municipality services. · Coaching branch manager to implement the delegated authority to reduce the unnecessary cases sent to the top management within the authority of branch managers. · Enhance the concept of complying with rules and regularities, following branch managers closely. · Create a follow up system for branches to resolve the late and old cases. · Instruct the unit of initiatives and performance measure on their job only and remove any other jobs to help them focus on performance improvement. · Create the culture of reporting within the sub-municipality sector to show performance progress and follow up culture enforcement. · Provide support to auditing department to improve their activity. · Provide expense loan for branch managers to support for any petty cash management. · Work out to cancel car payment from employees and keep it as allowance due to their work needs. · Establish new technical department to deliver technical support to branches. · Start the RFP for a call center to work out budgeting to make a continuous idea. · Create incentive system for high performance branches and control it electronically based on specific parameters. · Create a system for management visits with the contribution of branch managers. · Coordinate with project agency in municipality to shift responsibility of supervise street projects through sub-municipalities. · Study the underground problem for Alharameen, Alajaweed, Quaizah, Faraj Almusaed and Abraq Alrughamah in cooperation with Water department. · Coordinate with cleaning department to transfer some of the cleaning auditors to branches to improve street supervision to improve contracts performance. · Transfer some of the commercial markets auditors to branches. · Improve interaction of branches department with the citizens and provide them with confirmation of cases delivery. · Coordinate and cooperate with Kroki department and building permit department to try delivering this service from the branches directly instead of delivering it only through the center, starting with two branches ( Almatat branch and South branch). · Study the concept of making a unified uniform for auditors. · Start a primary preparation of policy and procedure for the sector. · GM of Administrative studies and Total Quality Department since 29/4/2008 up to 31/3/2009. 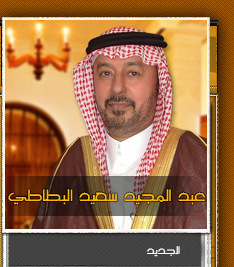 · Jeddah Vice Mayor Advisor for management and development. General Secretary of the board and shareholders manager, secretary of the executive committee, and secretary of the audit committee. · Manage board members and committees time schedules, meetings, decisions and processing the decisions. Continue as General Support Services Division Head while HR function formed in separate division and legal consolidated in one department. Promoted as General Support Services Manager. Responsible for NCB general support services managing the following departments: payment (payroll and third part payments), Recruitment, Reward and benefit, Training and development, Administration, Purchasing, premises, Asset Protection department (security, safety and insurance. ), and the Legal consultation department. The division head level is reporting to the general manager, responsible of all the strategic and budget planning for the division. The responsibility here is to put a business strategy for the division to improve the support and consultation services that are provided by this division to all the other bank divisions which should be in line with the whole bank strategy, and prepare the annual budget planning that should confirm the achievements of the business strategic objectives. · Increase the awareness of the importance of Human Resources functions in NCB. · Improve the working environment of the employees in general by putting in place policies and procedures in many things that were missing and create an innovative method of delivering monthly messages to the employees. · Reduce the divisional total cost by more than 30% by increasing the productivity of the division employees. · Change the process culture in the division to a customer-oriented culture. · Increase the employees understanding of the added value of the auditing and the importance of the clear and tight process. · Improve the communication between the division's employees and the end users by innovating a contact mechanism directly and through satisfaction surveys. · Increase the legal awareness to NCB's employees by creating direct dialogue meetings between divisions and the legal consultants in addition to establishing an educational material for the most required subjects. · Resolve the administrative and services problems at the users end by increasing the control with the contractors without adding cost by creating an innovative link between the pay and the service. · Outsource certain services that was found more effective to be carried out by other specialties at a lower cost base and more administration and control as it هs their core business. Promoted as Premises Manager responsible for the New Construction Renovation, Rent of All Branches in the Kingdom. · Promoting the new image of NCB branches. · Producing the new series of ATM machines sites in the Kingdom. · Leading the creation and installation technique of the new concept of the "Drive Through ATM" machines at the front side of the oil stations in the Kingdom for the first time in the kingdom overriding the problem of refusal of municipalities. · Adopting the customer approach in handling the services to the end users, which lead to increasing the satisfaction of the service receivers. · Create and work through quality circle groups to innovate new designs for ATM projects. Expected to be standard in the future for hundreds of sites. · Improve the work environment within the premises by formal and informal meetings. · Provide motivations and special incentives for the special achievements of the individuals. Promoted to Maintenance Manager in NCB covering all Branches, Computer Facilities and Residences in the Jeddah, Makkah and Taif area. Took part in the Team responsible for supervising the installation and commissioning of Mechanical systems in the prestigious new NCB Headquarters Building (30 Stories) in Jeddah and then responsible for the selection of the leading staff necessary for Operation, Maintenance and Housekeeping of the Building. · Restructure the maintenance department for NCB to cover the new expansion of responsibilities to run the department effectively and the high rise building too. · A clear strategy we adopt in managing the HQ building is "we have to have the control of our building services and not to be under the mercy of external companies" to have control and confirm service quality. · Start staffing the new HQ high rise building starting from the point of designing the functions needs and job descriptions for the professions, interviewing the applicants and selecting the suitable personnel. · Outsourcing part of the maintenance functions based on the cost effectiveness and type of service knowledge support needed. · Due to the economic trend change in Saudi Arabia we took a new strategic decision to outsource most of the support business based on the cost effectiveness, increase productivity, acceptable level of service speed and high reliability of support and specialized services. Worked as Engineer in NCB Responsible for Developing and staffing the Maintenance Services to NCB Buildings and Branches in addition to all senior staff residences. Establish and structure a new in-house maintenance team. build up a clear strategy for this service to provide a quality , timely responsive and cost effective services. We also plan for gradual expansion to organize the maintenance service for NCB kingdom wise without creating resistance to the new approach. started by providing the maintenance services internally through the new staff and externally through service providers based on the internal capabilities and type of service required. We focus in the beginning on the quality as it was the key factor in the service and to reflect our value. Revise the HVAC systems in the bank and specifically in the HO. Revise the electrical and plumbing systems in the HO and reschedule the time delivery and deliverables by the contractor. Worked as Engineer in Engineering Department in King AbdulAzizUniversity to Supervise A/C’s Installations in the University's Facilities. Contribute with the delivery team in supervising and approving the mechanical and HVAC systems in King AbdulAziz facilities. Also took an active part in Estimation and Design of the Telephone Central Communication Facility's HVAC system for the University. Provided a solution in saving cost of the design work at the installation stage of the ductwork at the telephone facility. § اقتراح وتطبيق الحلول لمعالجة عوائق تطبيق نظام المواقف المنظمة بالايجار المؤقت في وسط البلد. § مساعد الامين للبلديات الفرعية. § حل بعض مشاكل التراخيص المعلقة للمباني المركزية والتي سبقت الانظمة الحديثة. § تطوير اليات عمل ادارة المسالخ واسواق الخضار والسمك والزام مقاولي المشاريع بعمل تقارير دورية شهرية لمتابعة الانجاز حسب العقود المبرمه معهم. § الادارة والمتابعة اليومية لعمليات قطاع البلديات الفرعية. أ‌- بالنسبة لمكتب الاستراتيجية فقد تمت عدة انجازات تتلخص في : -1- معالجة المشاريع المتعثرة وحقوق الموظفين المتاخرة. -2- استقطاب بعض الكفاءات السعودية . -3- البدء في مشاريع قياس الاداء . -4- تنشيط وبدء التحضير لجائزة الامين للبلدية المتميزة. -5- وضع لائحة تنفيذية للمجلس التنسيقي وتم تبنيها من المجلس. -6- برمجة عمليات مراجعة الاداء للادارات. ب‌- بالنسبة لشمروعي السامر وام الخير فقد تم وبحمد الله الانتهاء من مشروعي السامر وام الخير في الوقت المخطط له حيث تم العلان عن اكتمال المشروعين في نهاية شهر نوفمبر من عام 2011م، والذي بلغت تكاليفه 408 مليون ريال سعودي. · ترسيخ فكرة الالتزام بالنظام ومتابعة رؤساء البلديات الفرعية لممارسته، التاكيد على لائحة الجزاءات والغرامات وتفعيلها. · تعليم رؤساء البلديات الفرعية بمتابعة المعاملات القديمة ومعالجة المعلق منها . · تقديم تقرير شهري لمعالي الأمين. · تحديد الخط الاستراتيجي والاهداف التي تعمل عليها الادارة وعرضها ومناقشتها مع رؤساء البلديات الفرعية. · تركيز إدارة المبادرات وقياس الاداء على مهامها التخصصية لتعظيم الانجاز. · تركيز إدارة المتابعة على العمل الميداني ومتابعة المعاملات المتاخرة فقط. · انجاز تقارير في مناطق البلديات الفرعية لتوضيح اداء البلدية والضغط عليها لمراجعة اداءها في المواقع التي يتم فحصها من قبل المتابعة. · القيام بجولات ميدانية عشوائية في مناطق البلديات الفرعية. · رفع درجة التواصل مع مدراء المراقبة. · تقديم الدعم والحماية لادارة المراقبة والمراقبين في الميدان. · اعتماد سلفة للبلديات الفرعية للمصاريف النثرية لتسهيل اداءهم للخدمات البلدية، وكذلك لادارةالدمارات. · عمل الية بالاتفاق مع إدارة الحركة على الغاء بدل المواصلات لرؤساء البلديات ومدراء المراقبة بحكم طبيعة عملهم. · الغاء ادارة مراقبة اللوحات الاعلانية. · الغاء إدارة الخدمات بالادارة العامة للبلديات الفرعية. · تنفيذ فكرة مركز خدمة العملاء لبعض البلديات الفرعية والمفروض ان يستمر العمل لباقي البلديات الفرعية. · اعداد كراسة لدراسة وتطوير وتوفير التقارير واليات وادلة العمل للبلديات الفرعية وتسويقها. · اعداد كراسة لدراسة كفاية وكفاءة البلديات الفرعية في خدمة المدينة ومدى ملاءمة الوظائف ومستوى الموظفين. · مراجعة تطبيق البلديات الفرعية لفكرة مركز خدمة العملاء وتفعيل دور الادارات في استقبال المواطنين مباشرة وتدقيق المعاملة وادخالها رسميا وتسليم ما يفيد الاستلام مباشرة. · التجهيز لاصدار الكروكيات التنظيمية اليا وكذلك رخص البناء من البلديات الفرعية بدءا من بلدية المطار وبلدية الجنوب وكلاهما جاهز للتنفيذ حيث قد تعدت مرحلة الاعداد الى جاهزية التنفيذ. - لجنة لتطوير آليات التواصل مع كتابة عدل والمحكمة. - مساعدة وكيل الخدمات في فرق الطوارئ وخدمات نظافة المدينة. · تفويض الصلاحيات وتوجيه وتدريب الموظفين لاخذ القرارات. · تقسيم عمليات رخص البناء الى شرائح الانتاج السريع المشاريع الرئيسية والمشاريع الريادية. تمت الترقية الى مدير ادارة الخدمات المساندة العامة بما فيها ادارة الموارد البشرية. تندرج الادارات التالية تحت مسؤلية مدير عام ادارة الخدمات المساندة : ادارة المدفوعات ( مدفوعات الموظفين ومفوعات الشركات)، ادارة التوظيف، ادارة المكافآت والتعويضات، ادارة التدريب والتطوير، الشؤون الادارية، ادارة المشتريات، ادارة المباني، ادارة حماية الاصول ( الامن والسلامة والتامين) وادارة الاستشارات الققانونية. وتعتبر المسؤولية هنا مسؤولية ادارة استراتيجية لتطوير اعمال الخدمات بالقسم في اطار الخدمات والاستسشارات لجميع ادارات البنك لجميع ادارات وفروع البنك بالمملكة العربية السعودية وتحديد الاهداف الاستراتيجية والخطط السنوية ومتابعة تحقيقها وتحسينها كل ربع سنة. · تحسين بيئة العمل للموظفين بوضع سياسات واجراءات وتبيان حقوق وواجبات مع ارسال رسالة شهرية بطرق ابداعية جديدة للموظفين. · انشاء موقع خاص لادارة الخدمات المساندة العامة لغرض تقديم الخدمات عن طريقه. · معالجة مشاكل الخدمات والمشاكل الادارية برفع عوامل التحكم مع المقاولين بدون اضافة تكاليف باسلوب ابداعي عن طريق ربط المدفوعات باداء الخدمة. · تطوير تصميم وطريقة تنفيذ اجهزة الصرف الالي امام محطات الوقود لاول مرة بالمملكة العربية السعودية بالرغم من معارضة البلديات على تتنفيذ الفكرة. · عمل حلقات مراجعة الجودة من المهندسين لتطوير تصاميم اجهزة الصرف الالي باقل تكاليف ممكنة واليات تنفيذ سريعة لتكون تصاميم معيارية لمئات الاجهزة مستقبلا. الترقية الى مدير ادارة الصيانة لكافة الفروع والادارات للبنك الاهلي التجاري بالمملكة. · وضع خطة استراتيجية لكيفية ادارة المبنى العالي الجديد ليحافظ على مستواه وكفاءته لضبط الخدمات وطرق الاستخدام ونظمها والية ادارتها. · تعين جهاز اداري للمبنى الشاهق وبمواصفات حسب المتطلبات للخدمات المقدمة بالمبنى. · الاستعانة بمصادر خارجية لتوفير موظفين متخصصين او تقديم بعض خدمات الصيانة للمبنى الشاهق. · تعيين مبرمج متخصص لاعادة تصميم نظام ادارة المبنى لتحرير قرار البنك في طريقة ادارته وتخفيض التكلفة بما يعادل 50%. · بناءا على استراتيجية ضبط التكاليف وتقليل مسؤولية ادارة عمليات ليس من ضمان اعمال البنك فقد تم اعاة تصميم بعض الخدمات لليتم توفيرها من متخصصين ومصادر خارجية. تم انشاء وهيكلة قسم صيانة بالبنك الاهلي التجاري لم يكن موجودا لادارة خدمات الصيانة لتحقيق الجودة المطلوبة وفي الوقت الذي يحتاجه البنك وبتكاليف مناسبة لمنى الادارة العامة الرئيسي بمدينة جدة. وضع استراتيجية لتطوير قسم الصيانة لاستيعاب اكثر لخدمات الصيانة وتوسيع نطاق خدماته تدريجيا مع تقليل المقاومة للتغيير حتى يمدد خدماته على مستوى المملكة، صيانة بسيطة تتم داخليا وصيانة كبيرة تتم عن طريق شركات متخصصة وقادرة للانتقال الى مناطق مختلفة. التركيز اولا على مستى الجودة في الخدمة لتوضيح القيمة المضافة للقسم بدلا منالاجتهادات غير المنظمة. مراجعة انظمة التكييف بالادارة العامة وتحسينها. المشاركة في تصميم اعمال التكييف بمركز الهاتف المركزي للجامعة. قمت باعادة تصميم قناة توزيع الهواء ( A/C Duct) وتوفير تكاليف الانشاء مع اعطاء نفس الفاعلية لتوزيع الهواء. Within the experience of structuring and managing the different groups I gained the experience of dealing with people of different nationalities and cultures. This also gave me the chance to be well in the environment of dealing with people of different nationalities and different level of education. I have been also in situations where I dealt with management conflicts and expose myself to the experience of dealing with these conflicts and provide creative and structured type of solutions. This also helped to build up capabilities of human relations, patience, listening capabilities, ability for fast picking ups, analyze, broad view and thinking of different probabilities and carefully lead negotiations. Giving presentations and seminars in how to gain customer satisfaction in services, how to measure customer satisfaction, management of organizations and balance scorecard. Help private companies as a consultant to understand their business and build up a strategy for their business. The start of the planning after analyzing the business was to double their sales and their profits. Personal Experience in commerce and international deal. I worked from 1972 in founding the family business in wholesale of textiles and all international deals. I also get involved in managing the family and private business afterward to keep smooth business growth and continuity. خلال ادارة واعادة الهيكلة لمجموعة من الادارات تم التعامل مع مختلف الجنسيات والثقافات مما اعطاني الخبرة في كيفية التعامل معها. اكتسبت بذلك الخيرة في العلاقات البشرية الصبر والانصات وتحليل المعطيات الاستفادة من الطروحات ووجهات النظر من مختلف الطروحات رغم تناقضاتها في بعض الاحيان وادارة النقاشات. تقديم الخدمات الاستشارية لبعض الشركات لفهم اداء هذه الشرشكات وفاعليتها لتطوير عملياتها ورفع ربحيتها. الخبره بالاعمال التجارية في المشاركة باشناء وتطوير التجارة العائلية. I have been involved in many cases in social activities and family issues. I got the experience in being the intermediate in several families' conflicts, and reach successfully agreements. Assigned in 1997 as chairman of the NCB club and social activities. Within the period of three years the decision of building a site for the club was successfully done and executed in the year 2000. A lot of the activities and events were planed in that period of time, which was never been established before or seriously owned. The successful gathering of the employees created internal formal and informal relationship and proper communication within the bank employees and helped a lot in business achievements. This also gave me the experience of establishing this type of activity and to manage it successfully.